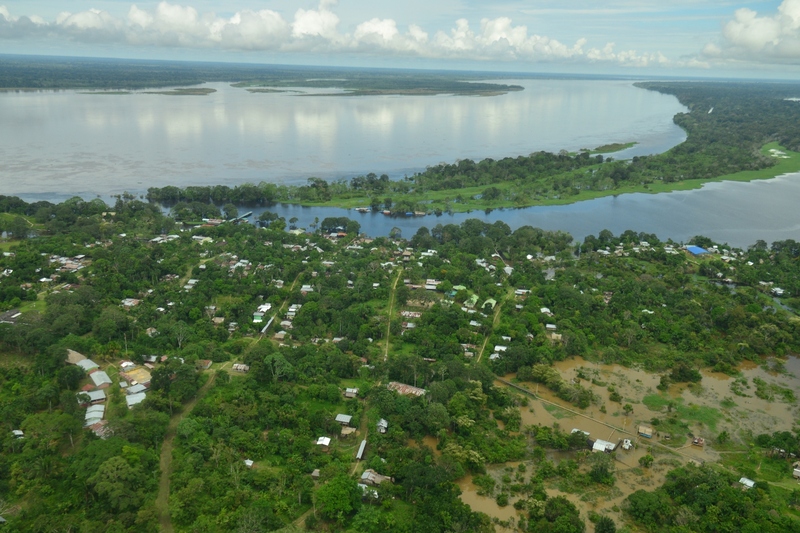 Colombia has designated the Lakes of Tarapoto Wetlands Complex (Complejo de humedales Lagos de Tarapoto) as its seventh Wetland of International Importance (Ramsar Site no. 2336). The Site, located on the River Amazon in the far south of the country, consists of several lakes interconnected by rivers and creeks. The Lakes of Tarapoto sustain plant and animal species including the ceiba tree (Ceiba pentandra), black caiman (Melanosuchus niger), 136 species of fish including the largest known freshwater fish, the pirarucu (Arapaima gigas), and more than 153 bird species. Grey and pink dolphins (Inia geoffrensis and Sotalia fluviatilis) use the Site as a habitat to teach their calves to fish. It also hosts threatened mammals such as the tapir (Tapirus terrestris), the giant armadillo (Priodontes maximus), the Amazonian manatee (Trichechus inunguis), the giant otter (Pteronura brasiliensis) and the anteater (Myrmecophaga tridactyla). This great biodiversity, and in particular the fish resources, support the 22 indigenous communities of the TICOYA (Ticuna, Cocama and Yagua) indigenous reservation. The ecosystem also provides important functions such as flood and erosion control, waterways for transportation, recreation and tourism. The designation of the Lagos de Tarapoto Wetlands Complex as a Wetland of International Importance was achieved after a consultation process was completed and indigenous, national and regional authorities agreed to protect the Site.